CSIpgh offers 2 Training Centers with live, operating equipment. The Training Centers are conveniently located on either side of Pittsburgh, at the CSIpgh Main and CSIpgh East locations. 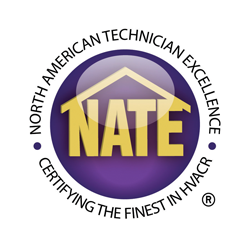 ALL of CSIpgh’s Mitsubishi & American Standard training courses qualify for annual NATE Certification Hours. No One in the Industry Trains Like CSIpgh.